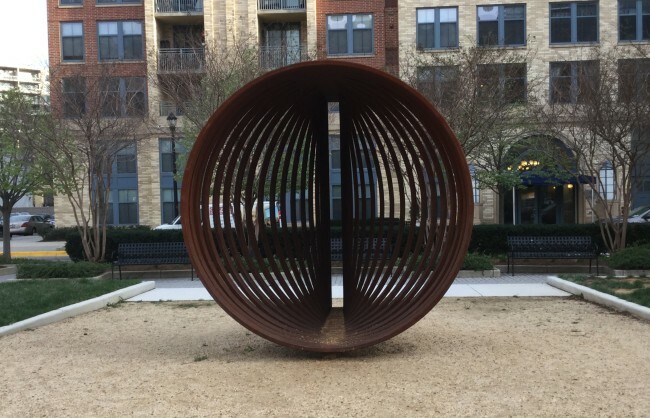 Installed in 2015 at Metropolitan Park in Pentagon City, Line to Circle and Arc Line Arc by California-based Phillip K. Smith III are forms based on the optical three-dimensional renderings of a spliced circle. 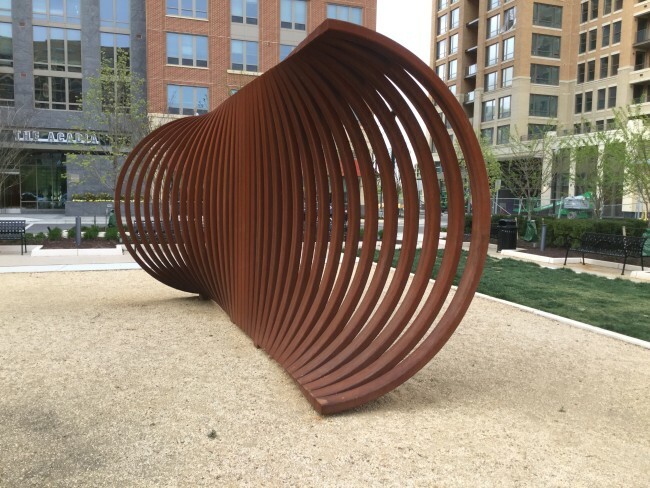 The Corten steel works of art are sited at either end of the park, creating a visual dialogue between the two and serving to unify the space as a whole. For more information about Phillip K. Smith.